Specter now offers high quality low range gear sets for split transfercases from 8/80 to 1/90 with manual transmissions only. These gear sets are available in 2 different ratios. The first set is .92 to 1 in high range and 2.82 to 1 in low range. This translates to 8% overdrive in high and a 55% reduction in low. 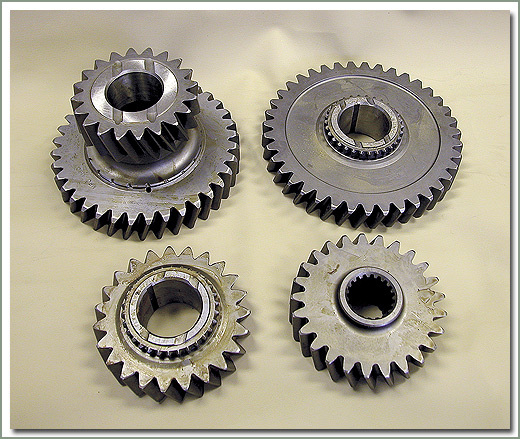 The second gear set is 1.08 to 1 in high and 3.05 to 1 in low, or 8% under-drive in high and 68% reduction in low. Set includes input gear 070-10, idler gear 070-16, high output gear 070-21, and low output gear 070-24. The output gears do not have bushings, order 070-22S separately. 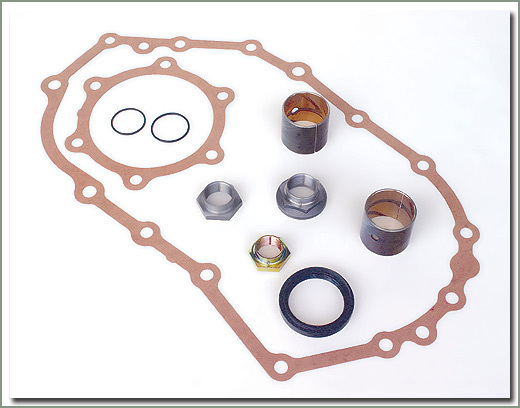 Does not include gaskets, seals or bearings, these can be ordered separately. Please note these gear sets, due to their low ratio and modified tooth profile, will make more noise than the original Toyota gear sets. Fits 8/80-10/82 with 34mm idler shaft Manual transmissions ONLY, does NOT work with automatic transmissions - -1.08 high ratio (8% under drive) and 3.05 low ratio (68% reduction) - Gears are made of case hardened steel - Transfercase housing must be grounded slightly for idler gear clearance - Includes input gear (070-10), idler gear (070-16), high output gear (070-21) & low output gear (070-24) - Requires Installation Kit (295-500-KIT), order separately - Please note that because of their low ratio and modified tooth profile, they have tendency to make a little more noise than the original Toyota gear sets.